JAMES M. POWERS is a principal of Brody Wilkinson PC and a member of the firm’s Trusts & Estates and Business Groups. Mr. Powers divides his time practicing at both the firm’s Southport and New Milford offices. His trusts and estates practice includes all aspects of estate planning, trust and estate administration, probate and trust litigation, and charitable giving. In addition, he spends a significant amount of time advising clients who are relocating to Florida permanently or splitting their time between Connecticut and Florida on domicile requirements and other related tax issues. Drawing upon his prior legal practice in Florida, Mr. Powers brings value, insight and years of first-hand experience to this area of probate and tax law. He represents a diverse base of individuals, private foundations and not-for-profit organizations in Connecticut and Florida. His business practice includes the areas of commercial transactions, financing, and commercial and residential real estate transactions. Mr. Powers advises lending institutions and private lenders in commercial loan transactions, and other corporate clients in mergers and acquisitions. He represents both businesses and individuals in commercial and residential real estate transactions. Prior to joining Brody Wilkinson, Mr. Powers was a principal of the New Milford-based law firm of Powers, Attorneys At Law, the successor firm to Powers & Powers in Bethel, Connecticut. After working at two Florida-based law firms earlier in his career, he joined Powers & Powers in 2003 and maintained his practice there until 2015. Mr. Powers is admitted to practice in Connecticut and Florida. 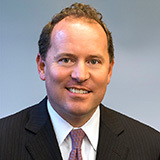 He is a member of the Connecticut and Florida Bar Associations. Mr. Powers is also a member and former president of the New Milford Bar Association. Active in the community, he is a member of both the Danbury Hospital Fundraising and Danbury Hospital/Praxair Cancer Center Golf Tournament Committees. Mr. Powers is a member of the Board of Directors of Wheels Program of New Milford, and a former chairman and member of the Board of Directors of The Children’s Center of New Milford. He received his B.A. from Rollins College in 1995, his J.D. from Nova Southeastern University School of Law in 1999, and his LL.M. in estate planning from University of Miami School of Law in 2001. Mr. Powers resides in Weston, Connecticut, with his wife, Kirstin, and their children. University of Miami School of Law, L.L.M. 2001.